After working for many years in the biggest bank in New York he had settled on a quiet beach in Goa. Like most of the houses on the beach his house was also made with wood. 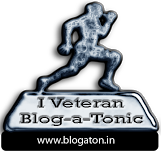 There was ever present threat of storms here on the beach but it was part and package of the life on the beach, he had never regretted his move to Goa as he was most happier than ever in his life. That evening he went to collect some wood from the trees at the beach for fire but he strayed too far and as soon as he heard the signs of a storm he started towards his home but the storm became too strong too quick and he had to wait for the storm to pass but time was something he didn't have. He saw in horror as the outline of a tornado appeared in a distance. Within a few minutes the tornado was upon him and the next moment his body was in the air. His body was jerked violently many a times and then he was thrown many kilometers away and he was no more and only his body remained. 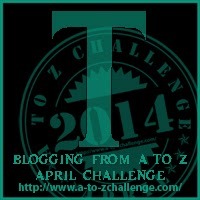 My Entry for Blogging from A to Z April Challenge 2014 - Letter T.